It’s generally the Disney princesses that are either locked up in castles or towers or palaces. No matter where they are, they have their fill of luxury and bling. Unless of course, you are Snow White or Rapunzel. But let’s put these princesses as outliers, albeit ones with very happy endings. Not as easy as it looks – finding treasures that is. 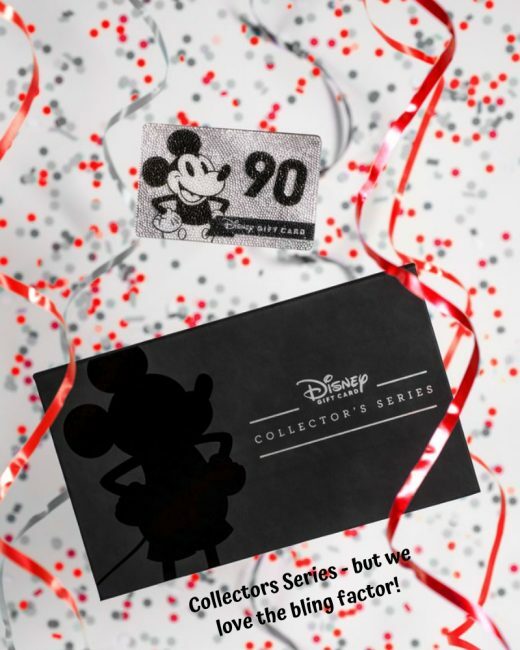 For fans like me, the closest that we are going to get to such treasures are these 90th Mickey Mouse anniversary gift cards. Yes, this adorable mouse has been with us for 9 decades now! Each gift card costs $300. For that price, you get $90 loaded onto it, redeemable for practically all things Disney. Be it theme park tickets, resort stays, Disney vacations or dining at your favorite Disney restaurant. Or you could do as I would and blow it all on Disney merchandise. the card doesnt have to be swiped, Disney will transfer the funds over to another less valuable one if you wish to use the value on it. This is to ensure that this collectors item doesn’t even need to come out of its packaging. The card can be used at Disney locations across the United States, Canada, and Puerto Rico. 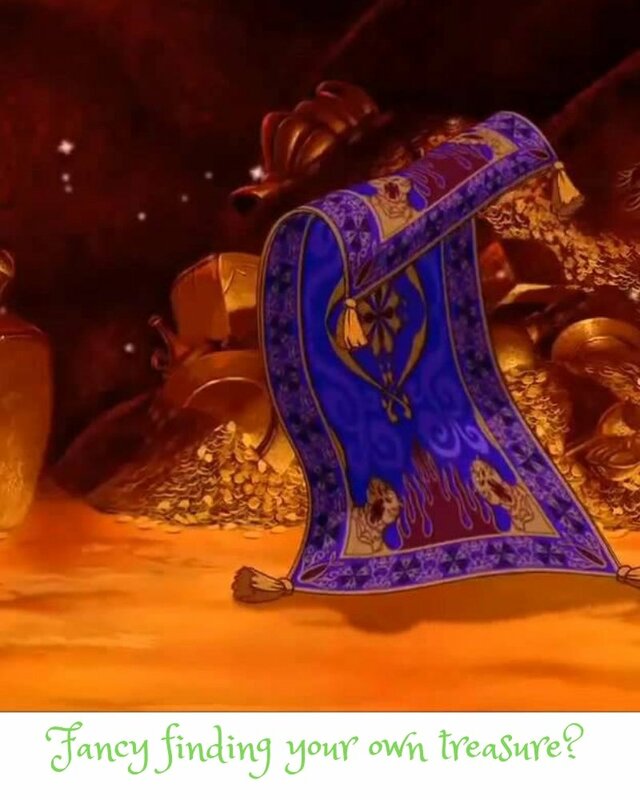 Besides that they are gorgeously blinged reminding us of Aladdin’s treasure laden cave? Well they are a limited edition. Only 5000 only will ever be produced. 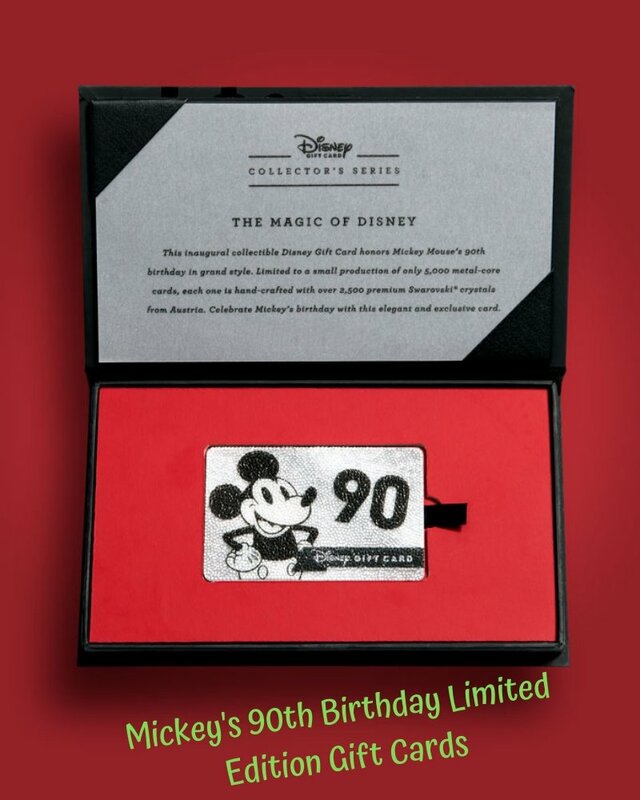 Given its for a special occasion (Mickey’s 90th birthday), they are definitely going to be a collectors item. The cards are made with a metal core, encased in a protective plastic, and encrusted with over 2,500 premium Swarovski crystals. The cards come with a custom built magnetic-closure box. This helps to showcase the Disney Gift Card Collector’s Series insignia. It also includes a vellum certificate describing the the card. Feeling sentimental? 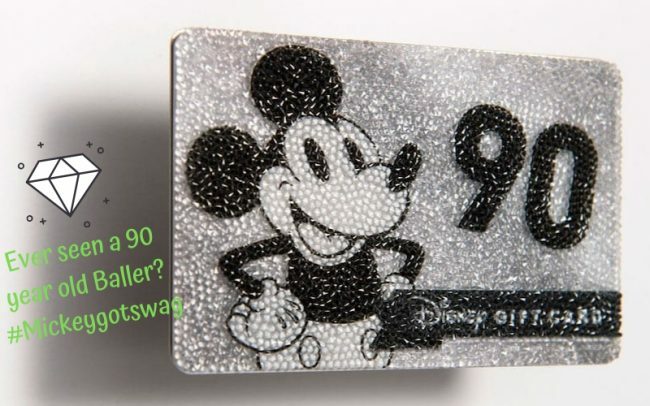 Check out Mickey celebrating his 90th in style! Or Mickey through the decades ! Try your luck to see if the limited edition cards are still available at the official disney gift card shop. What do you think is Disney going to do for Mickey’s 100th ? Will the love affair with Swarovski continue?